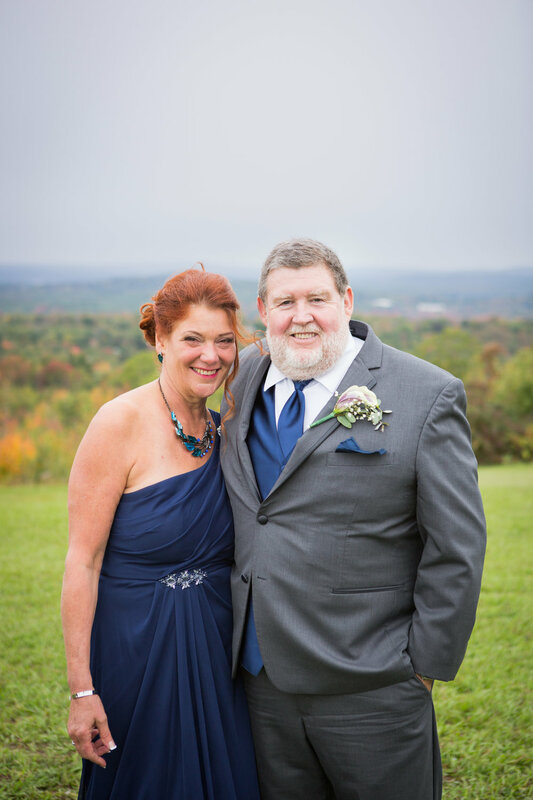 Our eyes were wide & our inspiration fueled as we entered the venue of Chelsea & Jason's wedding. We all could agree we were in for a treat with this view! The Vista of Maine was located atop a hill looking over a beautiful Maine landscape. Despite the essence of fall surrounding us -it was humid and warm. Unusual for an autumn wedding, but welcomed by the bride and groom. The foliage looked amazing contrasting with the blue sky. The sweet smell of apples and cider lingered in the air -I forgot to mention there was a full apple orchard on the property! We headed into the bridal suite where we found Jason and his guys on the bottom floor listening to music, drinking champagne and enjoying each other's company. Chelsea was upstairs with her girls- they were all radiating with excitement! 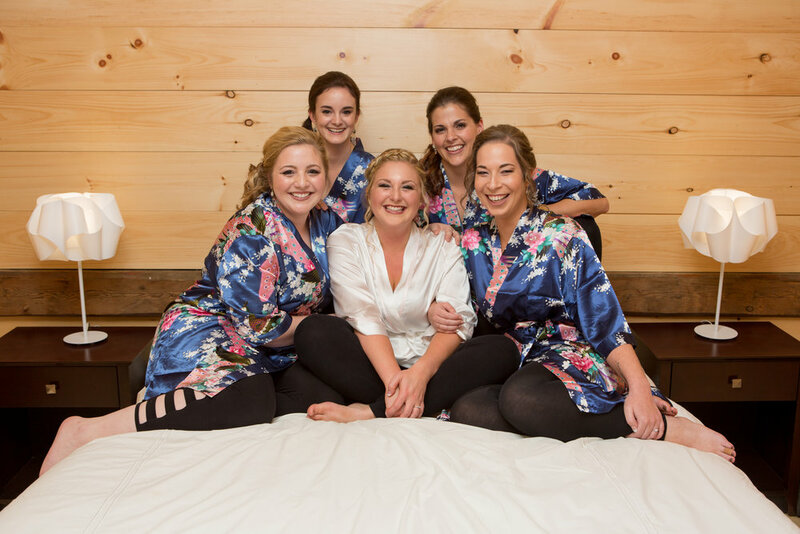 Her bridesmaids had on blue floral robes, and Chelsea wore a white silky robe with “Mrs.” on the back! They were putting the finishing touches on their looks & relaxing until “go” time. We gathered up Chelsea's dress, the rings, shoes and bouquet and headed outside to capture detail shots! The barn on site made for a great backdrop with her dress. 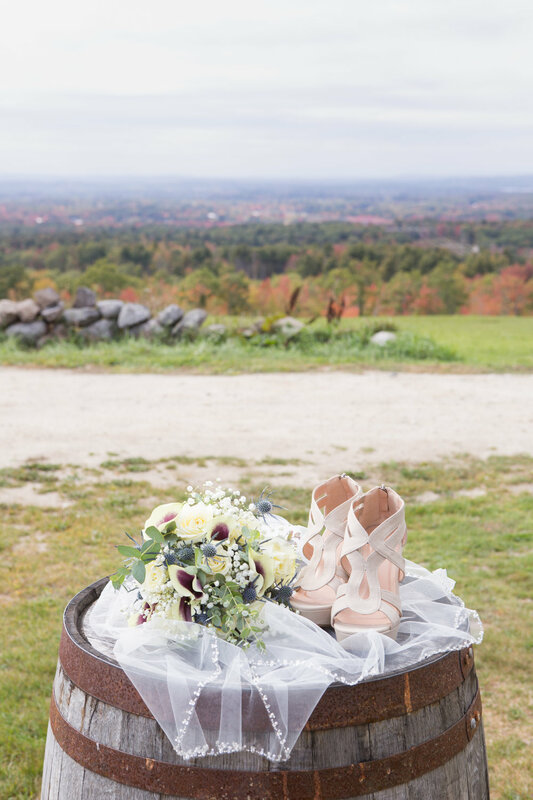 We utilized nearby barrels for the shoes, bouquet, and rings. There were so many wonderful spots for photos- we were having a blast! Jason and his guys had the most fun undercover superhero theme. Each of them had a different superhero shirt and cufflinks. 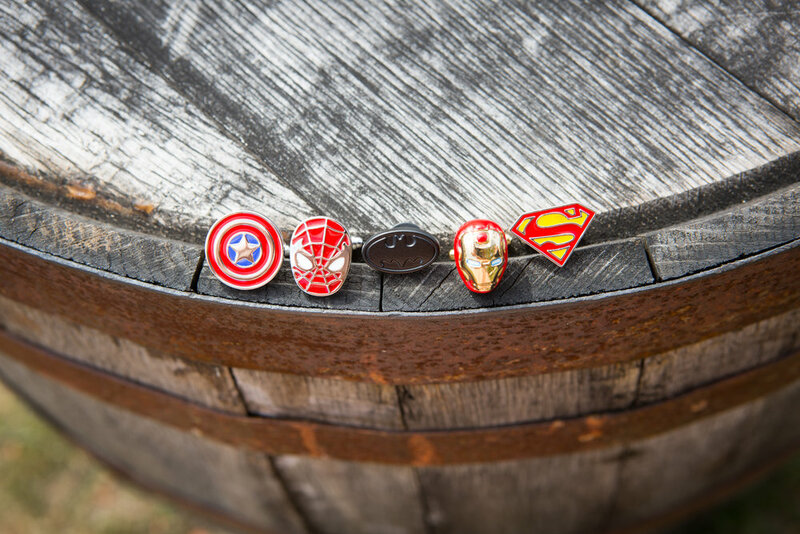 Cufflinks are a really subtle way to incorporate a piece of the groom’s personality. We took their cuff links to photograph as well & were looking forward to the photos we'd take later on of their shirts! 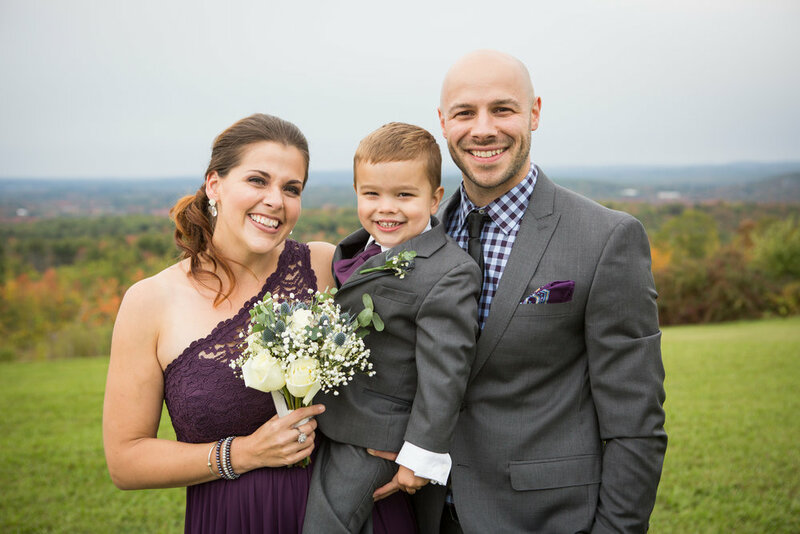 Jason and Chelsea had many details that highlighted their love of Batman throughout the wedding as well. It added so much of their personalities! With Jason and his groomsmen preparing in the room right below Chelsea, we wondered how exciting that must have been for them both to hear each other all morning! These two were good though -no secret eye catchings here. On the first floor there was music playing and micro beers galore. The guys were certainly enjoying their pre-wedding afternoon. As they got ready, there were many inside jokes thrown around & so much laughter! They put on their shoes and buttoned their vests-helping each other of course. They slipped their cufflinks on, adding a little splash of color! We couldn't get enough of these cufflinks! 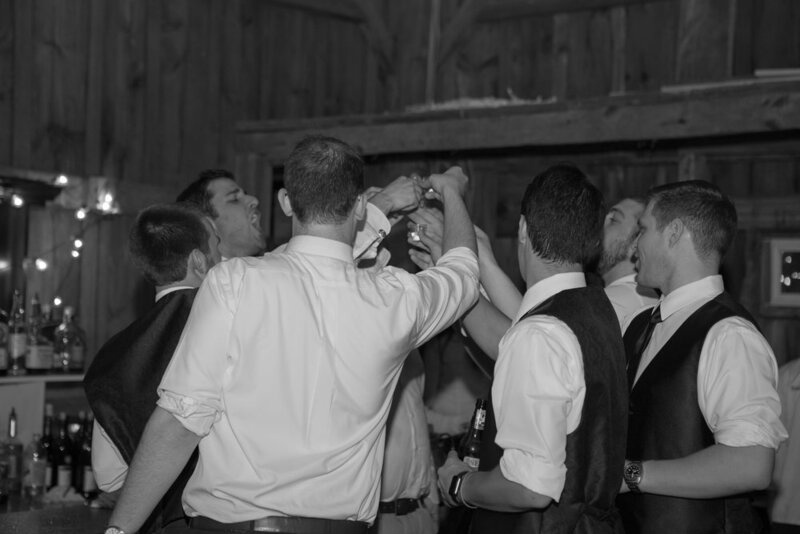 They put their jackets on, finished their last sips of beer and then headed outside for formal photos in the orchard. Meanwhile, the girls sipped champagne and swapped inside jokes and stories of their times together. Laughter was a constant with these ladies-and we adored our time with them! It was finally time for the bridesmaids to get into their dresses. They were a rich eggplant color which complimented each of them. 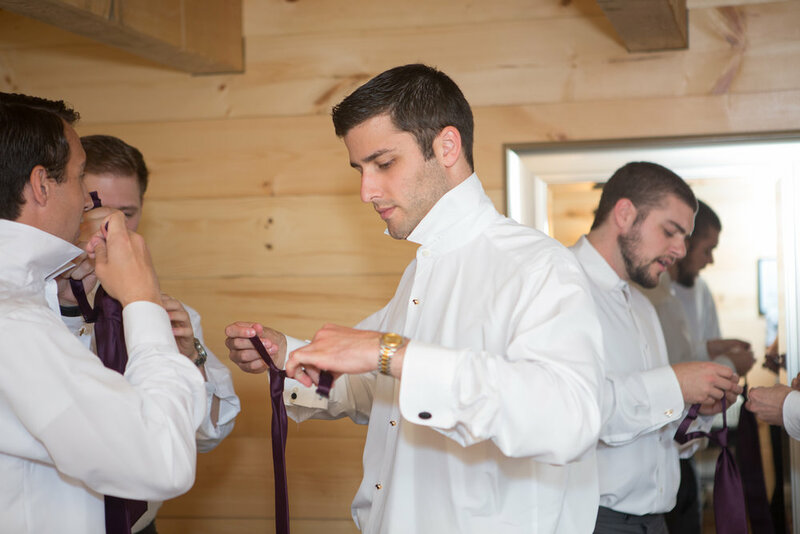 They added a few final touches: buckling shoes, adding another layer of lipstick before turning their attention to Chelsea as she prepared to put on her gown! 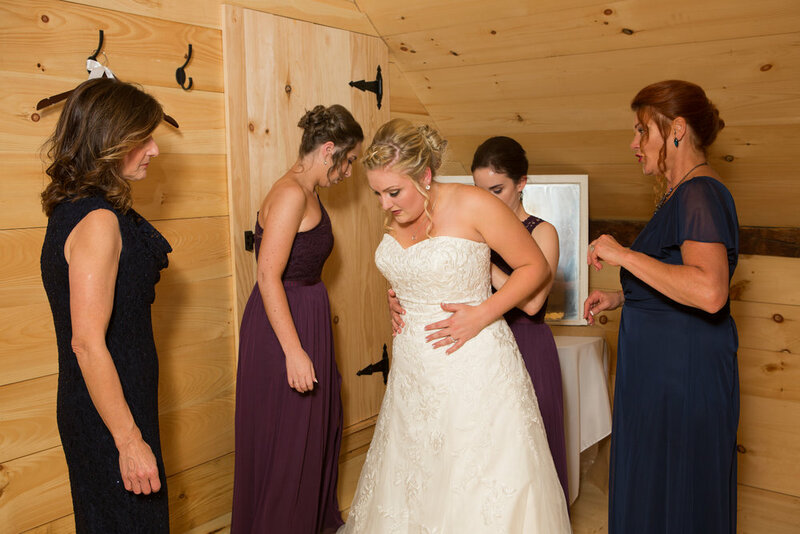 Her mom, Kathleen, Jason’s mom, Margo and maid of honor Kelsi helped her get into her beautiful white dress. Her bridesmaids watched from across the room with bright smiles. Chelsea added her veil, her jewelry, and put on her shoes. Everyone complimented the stunning bride. She was all smiles as the ceremony drew near. And check out Chelsea's hair- it was flawlessly beautiful! The gentlemen were so much fun to shoot! They were constantly cracking jokes and laughing both at and with each other. 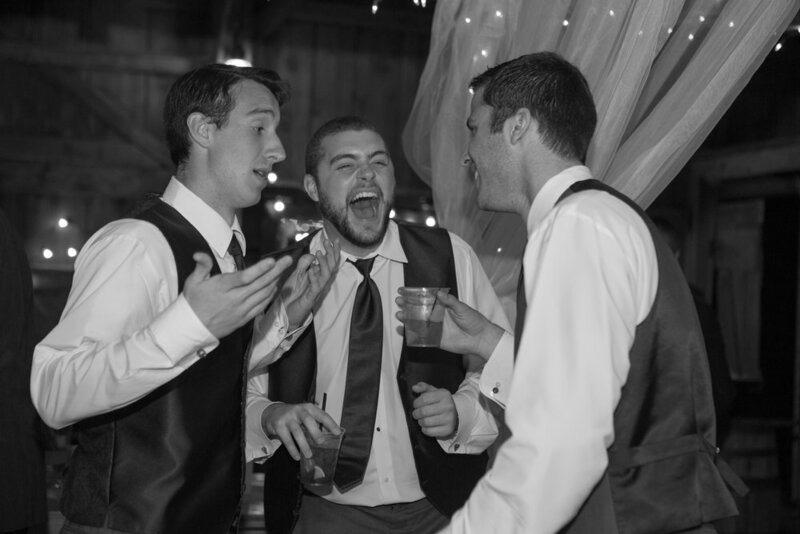 It was quite obvious these guys shared a close bond and were very happy for Jason...who sported the biggest smile as he readied himself to marry Chelsea. Photographing the bridesmaid's was a piece of cake! They all adored each other and were having so much fun posing along the scenic views! 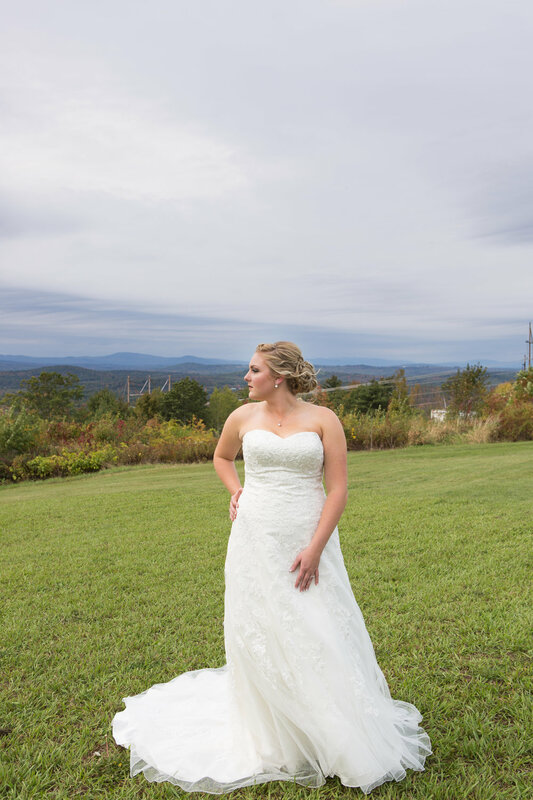 Chelsea’s bridal photos in front of the amazing view were incredible. She was such a natural & so confident. We took her into the orchards next. 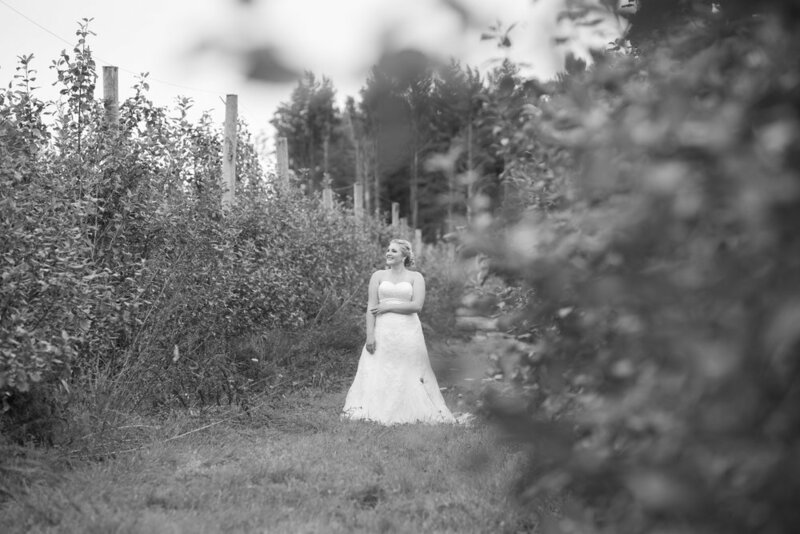 They were the first orchards we used as part of wedding photos this year! 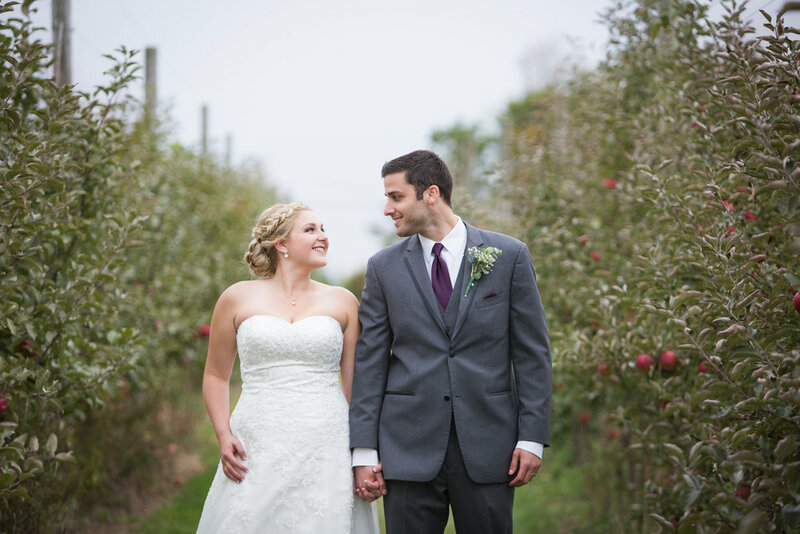 The rows and rows of apples were the perfect fall setting for such a gorgeous bride! The deep red apples complimented her lipstick and dark purple flowers. She was glowing with eagerness to marry her best friend & we couldn't have been more excited to share these moments with her. 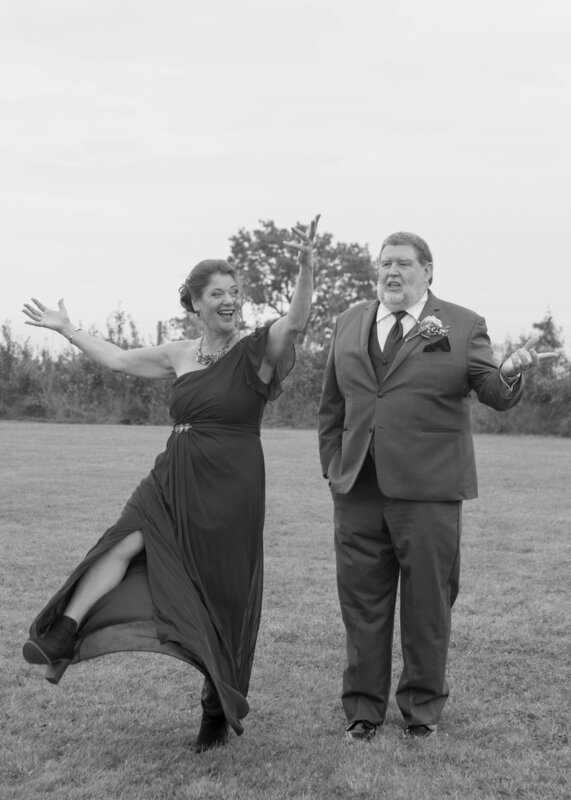 Dear Chelsea- way to nail your bridal formals...if we may...they're killer & you rocked it! Your confidence is much to be desired & happiness with life is obvious. The ceremony was situated with the incredible view of the foliage painted in front of the guests to enjoy. Once everyone was seated, the ceremony began. Jason escorted his mom down the aisle and made his way to the alter. 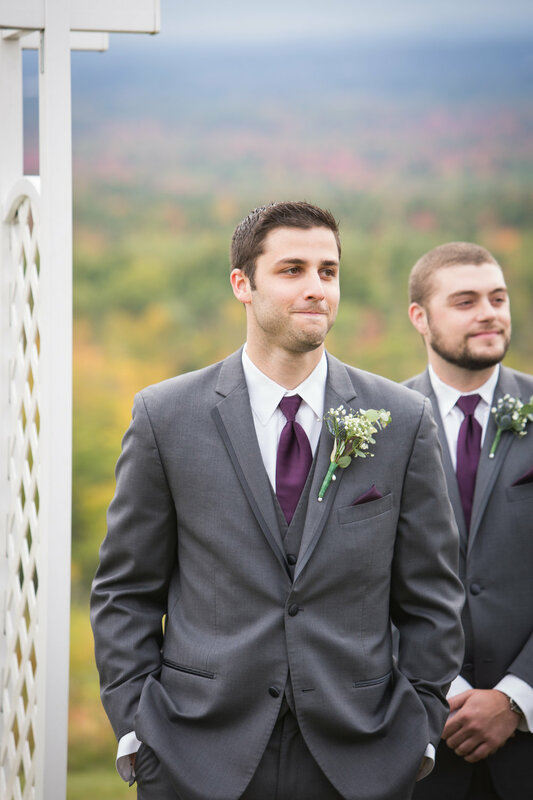 His groomsmen followed behind, lining up next to him. Chelsea’s mom was escorted down by her two sons. 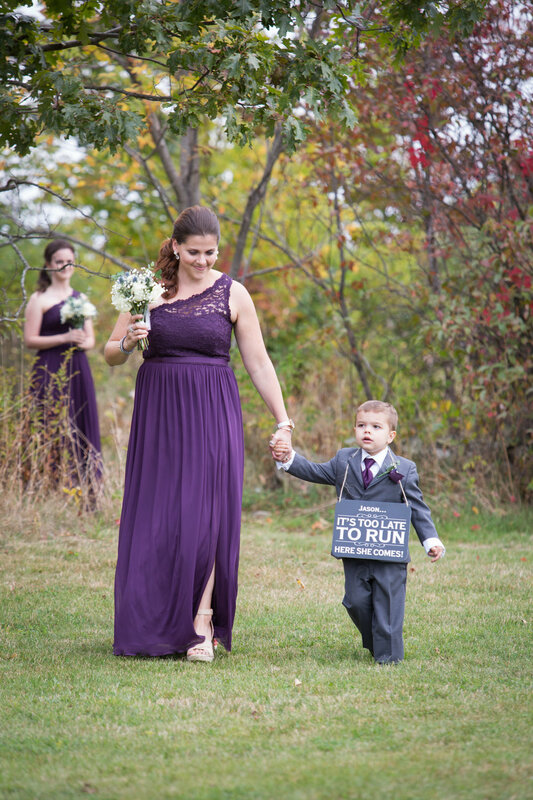 Sully, the ring bearer, came down the aisle with a cheeky little sign to Uncle Jason (who was holding a brand new toy car at the end of the aisle- clever). The bridesmaids proceeded to walk down next, all shooting Jason big smiles as they walked by. With a shift in the music, Chelsea and her dad made their way. Chelsea gave Jason the biggest smile as she approached him. If possible Jason’s smile was even bigger. It grew and grew from the second he laid eyes on her at the beginning of the aisle. To start the ceremony Jason and his sister Crystal lit a candle in memory of their dad. 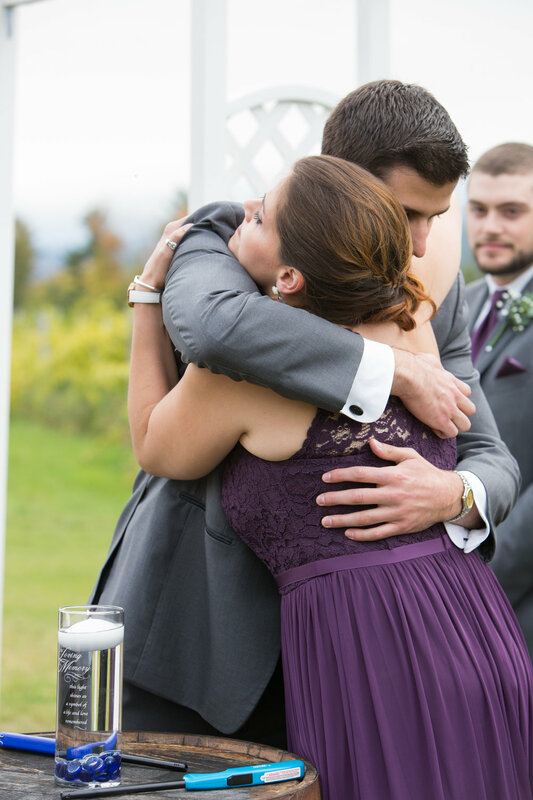 Once the candle was lit, the siblings shared a hug before stepping back into their places. Chelsea gave his hands a reassuring squeeze before they turned their attention to the officiant. 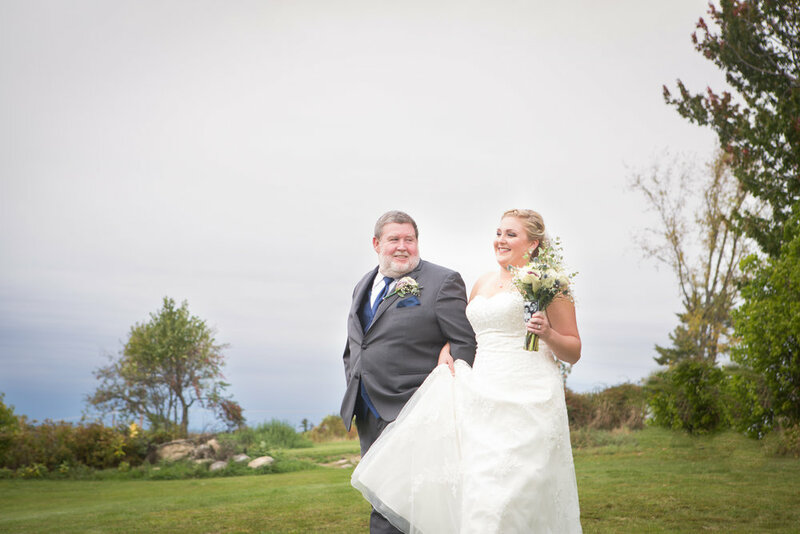 He shared that, “Marriage is a promise of two people who love each other.” Chelsea and Jason smirked and shared a glance. 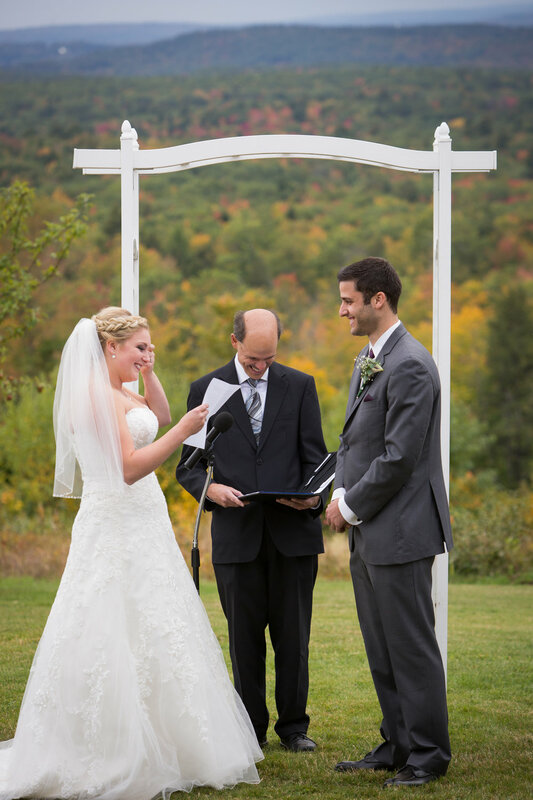 The officiant said that Chelsea and Jason had messages they wanted to share with one another. 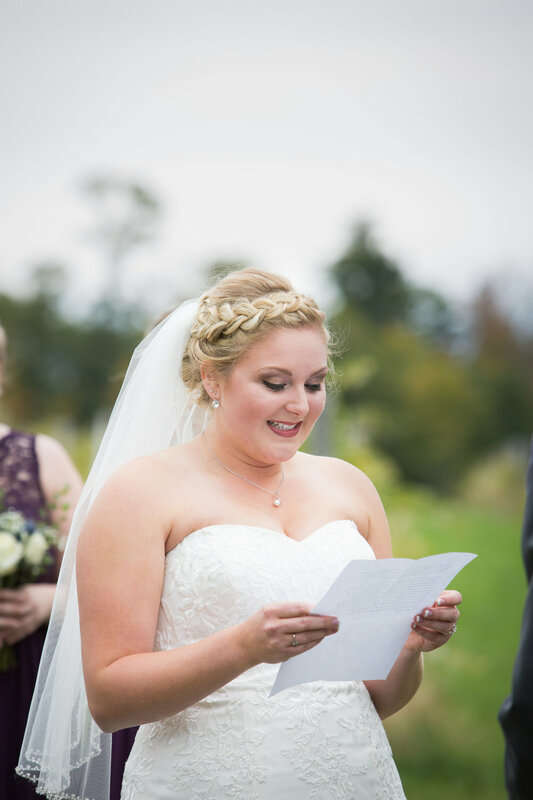 Chelsea went first, holding a piece of paper, tears immediately springing to her eyes as she spoke her truths to Jason. “I love you, for what you are and for what you make me feel.” Jason responded with his own words, “you taught me the meaning of true love. I promise to provide for you. I promise to pause video games, unless it’s an online game -which I will pause as soon as I can. I promise to put you over everyone else.” This made us all laugh! Their messages to one another were so heartfelt & moving. 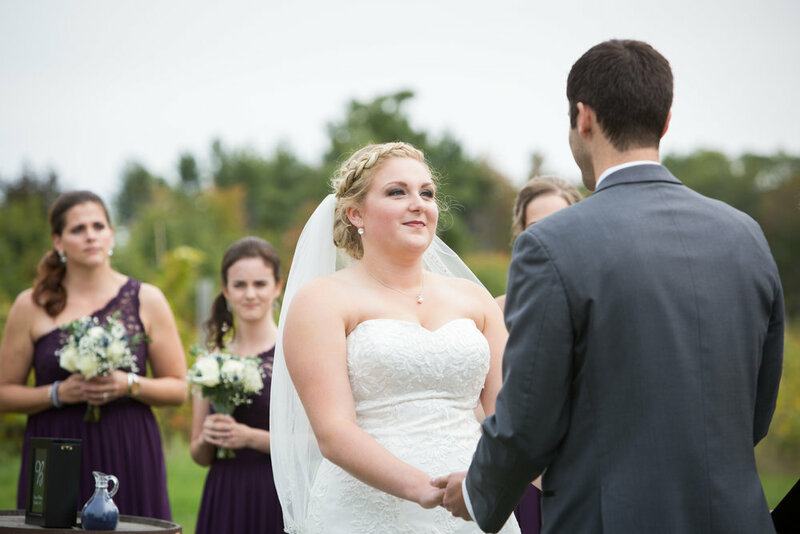 Chelsea wiped her happy tears as they prepared to exchange vows. 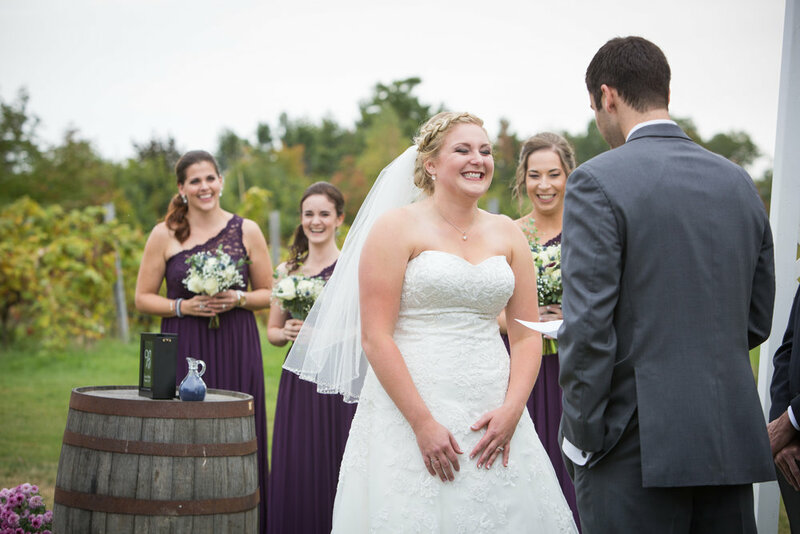 They recited traditional vows, looking into the eyes of their biggest love as they promised a lifetime together. Next, the sand ceremony began. They each poured a little of their own sand, representing who they were as individuals. They then poured their sand simultaneously, representing the blending of their lives. “May your bond always be inseparable,” the officiant said as Chelsea and Jason finished pouring their sand. The couple then moved back to their spot in front of the arbor. It was time for the rings! 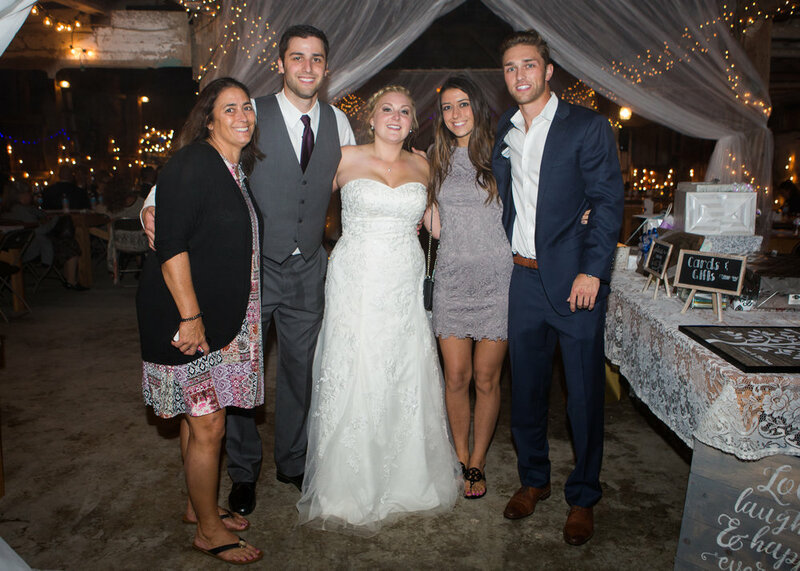 Ben handed over the rings and they shared the words, “I give you this ring as an eternal symbol of my love and commitment to you.” With the biggest smiles we’d seen them have all day; they shared their first kiss as Mr. and Mrs. Badeau! They headed up the aisle beaming at each other as Maroon 5’s “Sugar” played. Sully’s sign now read, “Hurry up, I want Cake!” as he followed his Aunt and Uncle’s lead! Before we all joined the fun inside the beautifully decorated barn, it was time for formal photos as a group! This is when everyone usually makes funny jokes -to get everyone laughing, the best stories are usually told- often embarrassing. It's great to see the wonderful people who are an extension of Jason and Chelsea. We discover it says a lot about the couple too. This group was no exception! They were cracking each other up! Their sense of humor was on the same page. Chelsea and Jason took photos with their families. Chelsea’s dad had a surprise for Jason -under his shirt he had on a Deadpool shirt! Jason was happy his father in law joined in! While Chelsea took photos with her family, Jason and his groomsmen went to put on their superhero shirts! Once all the family photos were complete, and superhero pictures were captured, we sent everyone except the newlyweds to cocktail hour. We captured Jason and Chelsea in front of the view. They were so in tune with each other it made photographing them so easy. They were all smiles enjoying their newlyweds status. They requested we capture a photo of them drinking their favorite Bissell Brothers beer. 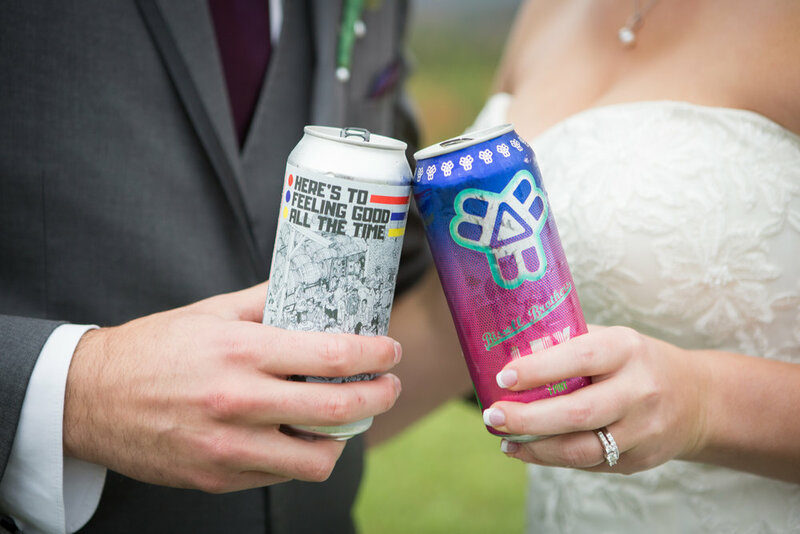 It's always cool when the bride and groom have quirky things that mean something to them and that we can incorporate into a photo! We then whisked them into the orchards-our favorite part! Just when we thought they couldn't be any cuter, they proved us wrong. They were constantly sharing glances with each other & saying all the right things to make each other laugh. It seemed these glances conveyed entire stories. In our time with them, spent together and apart, it was becoming more and more apparent how in love they were. 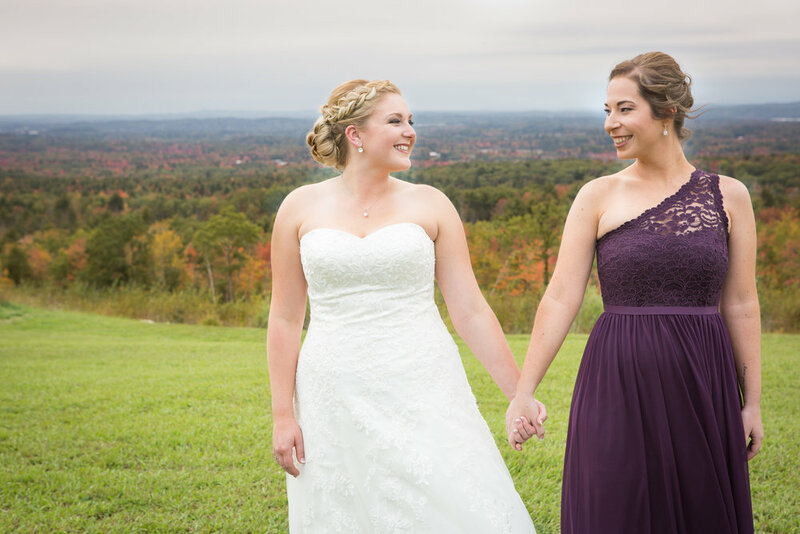 They had just married their best friend and we were lucky to be able to capture it on camera! 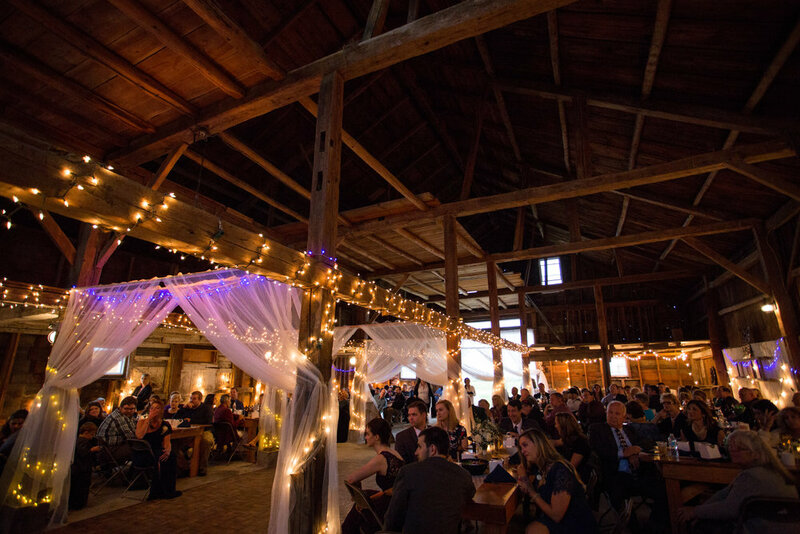 We all headed to the start of the reception in the barn! 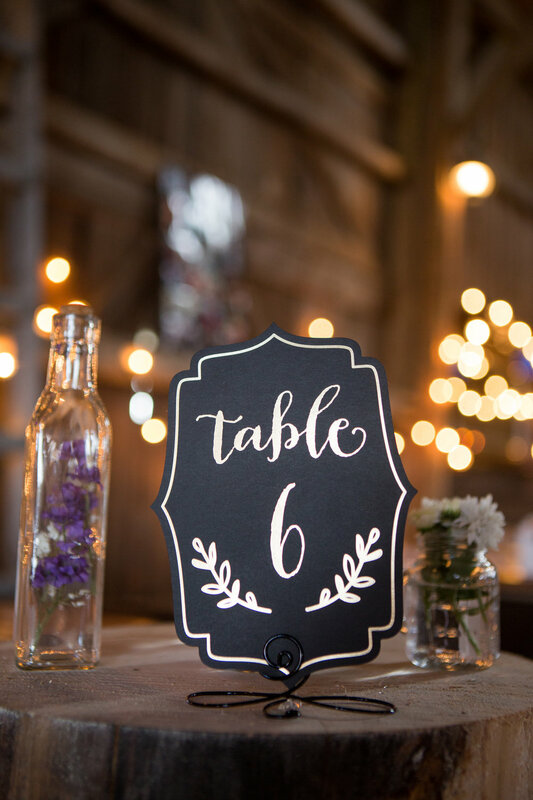 It was simple with a touch of rustic and a little bit of Chelsea and Jason’s personal touches throughout. There were white lace table runners. 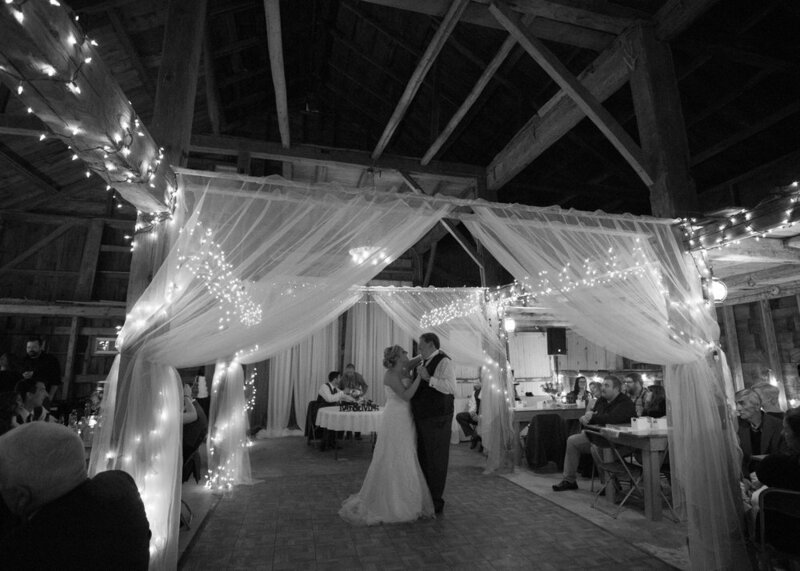 White string lights were strung around the beams and white tulle woven around the top beams-which was very pretty in photos. There were small boxes of cookies at each place setting with a sticker thanking the guests for coming. When it was time to announce in the wedding party everyone stood to welcome them. They all danced in eager to get the party started! 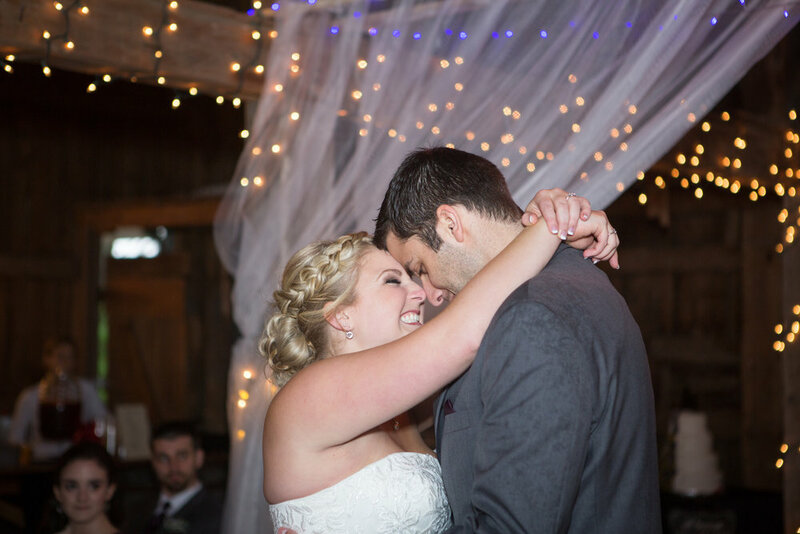 Chelsea and Jason were announced in and headed straight into their first dance. They sang the lyrics to each other and shared many kisses and hugs throughout. They never took their eyes off one another- truly inspirational. 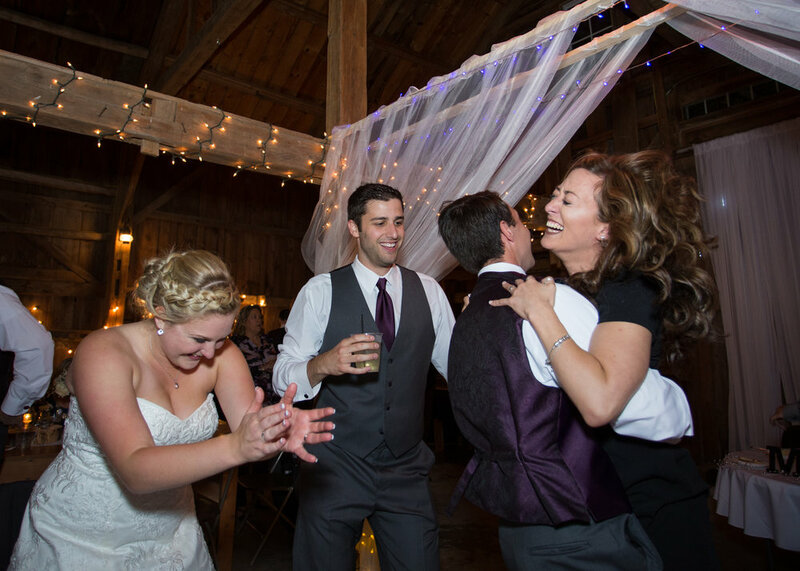 One of the song lyrics was “spinning you around in circles” and Jason took the opportunity to spin Chelsea when the lyrics were sung. She loved it, laughing every time and kissing him after. Once their dance ended they took their seats in front of the dance floor. It was time for toasts. Jason’s best man, Ben, was up first. He shared that he was really honored to be by Jason’s side on his wedding day. He also said that their first encounter wasn't pleasant and made the entire relationship a funny story to share! He mentioned how Jason used to always chat about his new girlfriend and Ben grew sick of it-ha! Ben told Chelsea that he believed the change in Jason was because of her, “he wouldn't be who he is without you. You bring out the best in him.” Ben also told Jason that he was the best friend he’d ever had. He ended with a congrats to both Chelsea and Jason. 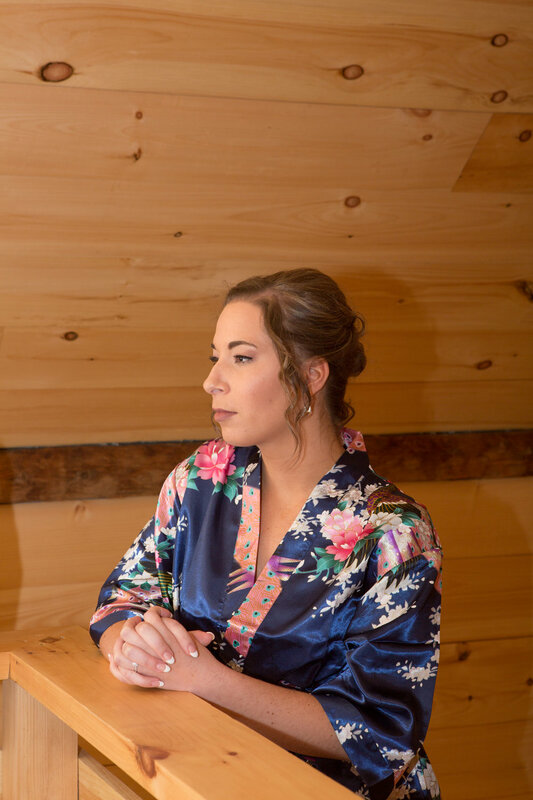 Chelsea’s maid of honor, Kelsi, was up next. She spoke of how Chelsea was more of her sister than friend. That they had done everything together. They were each a member of the other’s family. They went on camping trips, family vacations, and practically lived at each other’s houses. However that all changed when they went to college. They promised to come home weekends to see each other, but soon Chelsea stopped coming home. Turns out she’d met a boy....Jason. 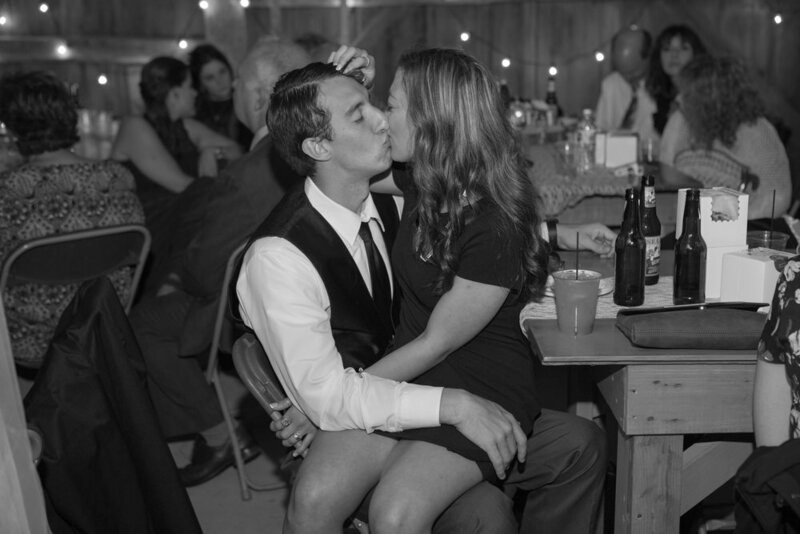 Once Kelsi had met Jason though, it became clear why Chelsea liked him so much, he was just like Kelsi! This made everyone burst out in laughter! She assured Jason that Chelsea would always be there for him. “When you’re stressing out she'll be there for you. She’s done it for me.” She reminded Jason to “love her like she’s the only person in the world.” She ended her speech by saying Jason wasn't joining just one family but two. She held up her glass for everyone to toast the newlyweds. 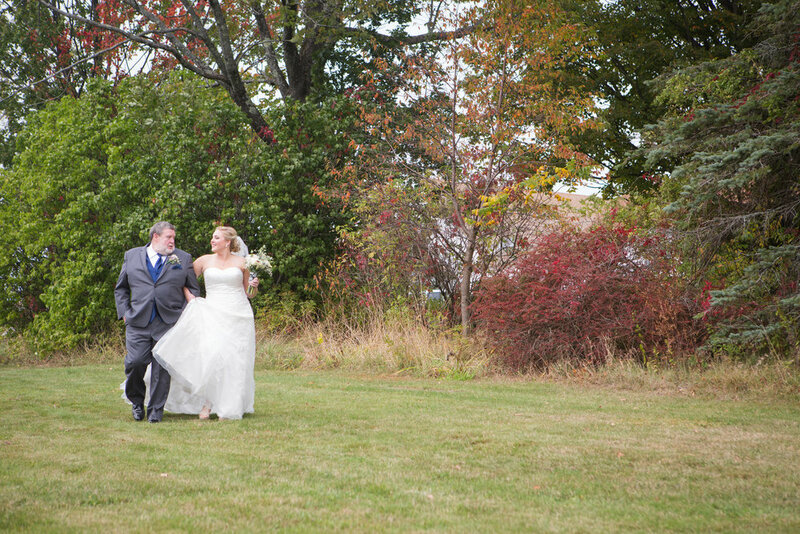 When it was time for specialty dances, Jason escorted Chelsea to the dance floor to dance with her dad. 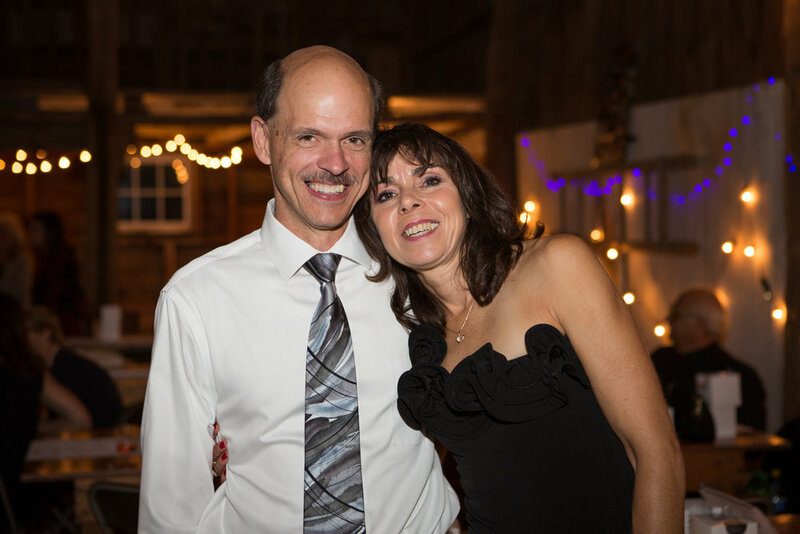 They held each other tightly as they danced. It was obvious their father daughter relationship was strong. They smiled and laughed throughout the song. 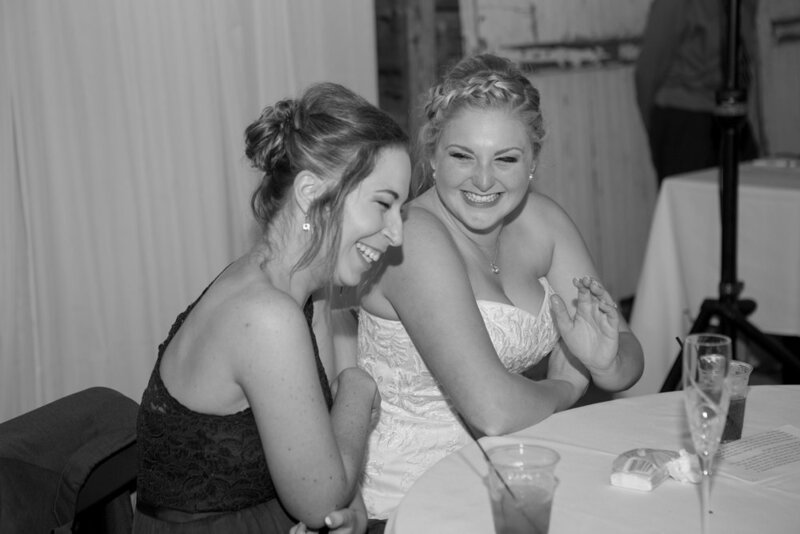 At one point Chelsea had her head thrown back in laughter with something her dad had said. They ended their dance with a big hug. Jason and his mom took the floor next- wrapping their arms around each other. Margo was looking up at Jason with such motherly pride & happiness. 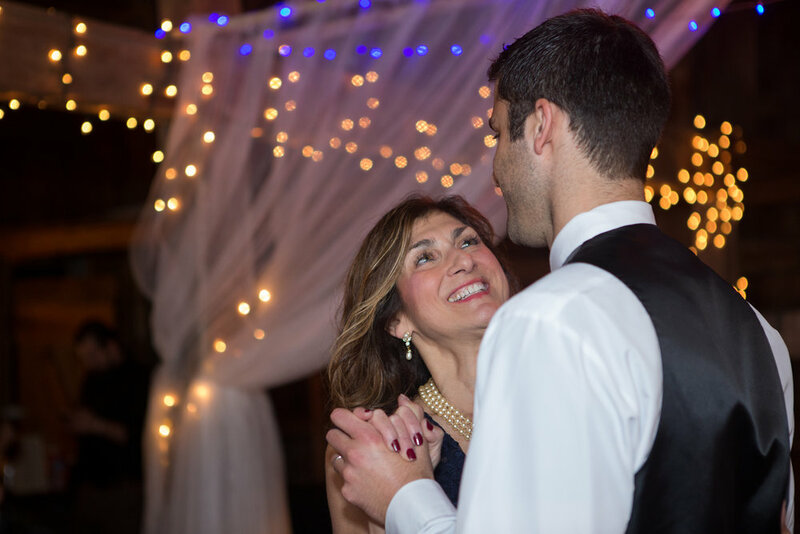 These two shared a close mother-son bond. 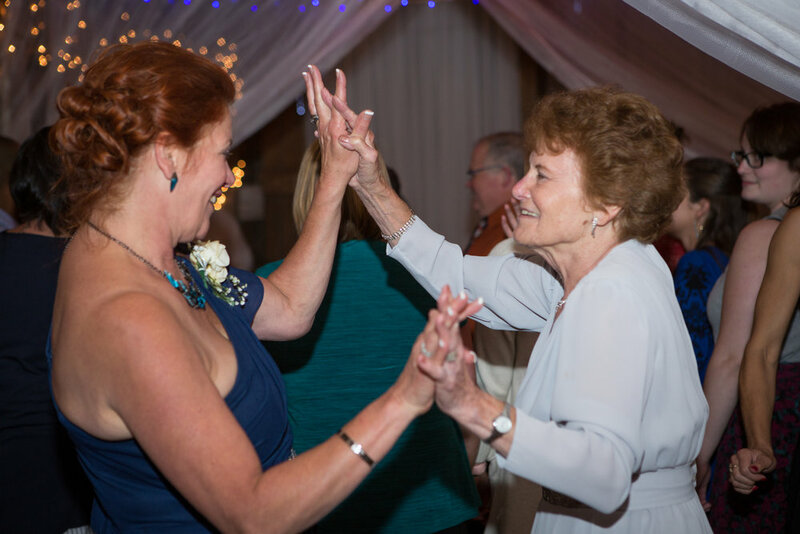 While they danced, Chelsea and Kelsi watched from the sweetheart table with bright smiles. Jason brought his mom in for a long hug as the song came to a close. Later in the evening more toasts were given by Margo & Kathleen. Jason’s mom gave a short toast, saying she loved all his milestones growing up and this day was no exception. 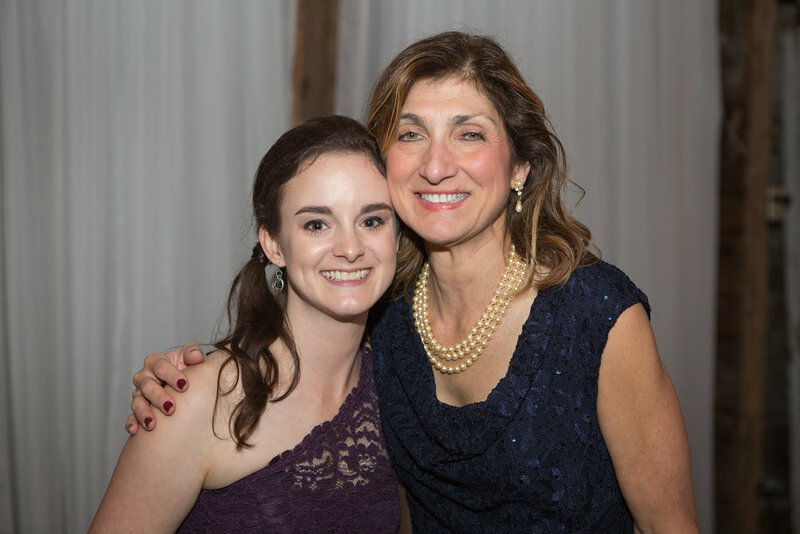 She welcomed Chelsea and the newest Mrs. Badeau. Her kind words had Chelsea wiping away tears. Chelsea’s mom made a short toast expressing how she loved watching Chelsea grow up and that she loved them both. Jason and Chelsea then gave a “Welcome” toast to their guests and families. Jason expressed that without their parents, this couldn't have happened and he was so happy that with all their support he’d found the person who was right for him. It was wonderful to see two families so involved and intermeshed. It was time for cake- and the cake was incredible! It was primarily white, but with an effect to look like curtains had been opened to reveal a Gotham landscape fitting into the small theme of Batman and superheroes. There was even a little Deadpool being smooshed by the cake on one side. It was such a creative masterpiece for Jason and Chelsea! As they cut into the cake and plated a small piece Chelsea warned Jason to “be nice,” as they carefully (and nicely) fed each other bites of cake. Jason attempted to slip a little frosting on her nose. They were so cute, kissing afterwards! Just so happy to be where they were. The dance floor was popping! Everyone was dancing and singing- the energy was high and so much fun was being had! The bride and groom were in their element as they sang and danced with each other and their guests. When Walk the Moon’s “Shut Up and Dance With Me,” everyone went crazy with excitement and joined in together surrounding the bride and groom! It was time for Chelsea to throw her bouquet! It was caught by the best man's girlfriend-perfect placement ;)! Jason put on a show as he removed Chelsea's batman garter- it was very amusing and quite sweet. 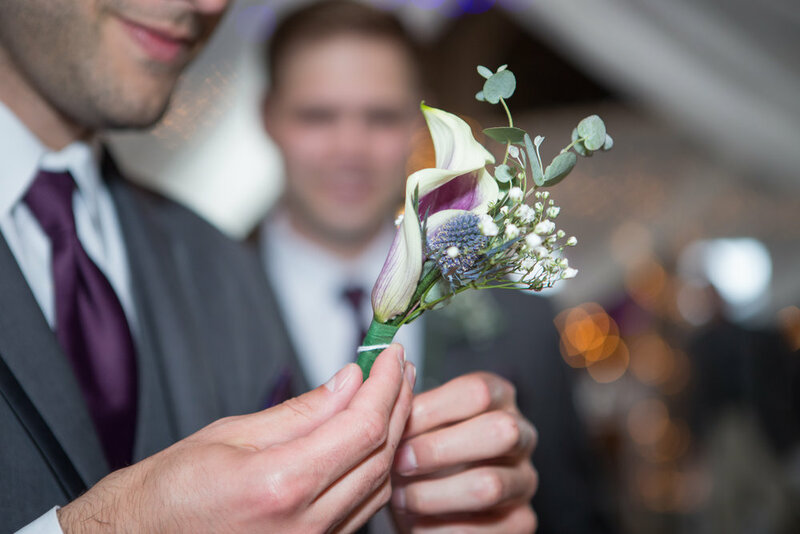 He gathered all the single men onto the dance floor and proceeded to land the garter straight into his best man's hands- PERFECT (once more ;) ). We all cheered on as Ben sat his girlfriend down to place the garter on her leg- a long lived tradition that holds the meaning of who would be up next to wed. Thank you for sharing your day with us! We had a blast sneaking apples from the orchard, exploring the vista, and witnessing such an authentic love. 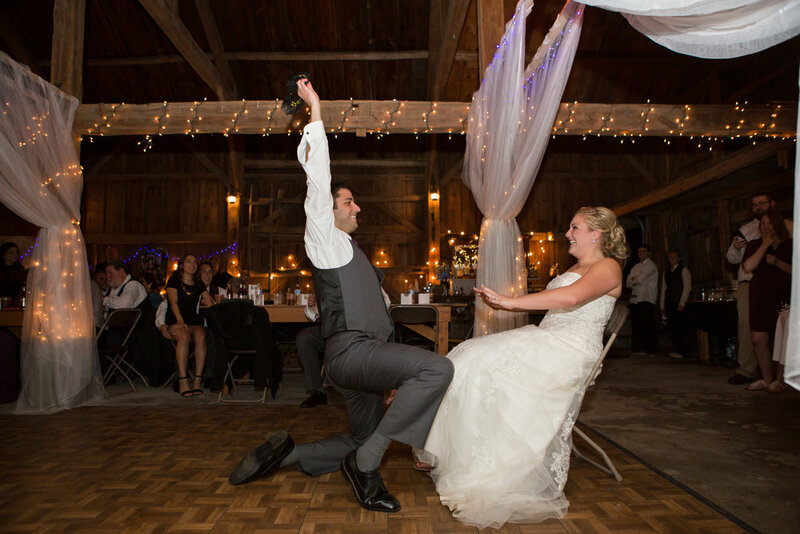 You’ve shown us what it looks like to marry your best friend, and we loved it! We wish you all the best in life.